Water bottles come in all sorts of shapes and sizes. Bigger bottles obviously hold more water, but smaller bottles are easier to carry, fit better in your carrying gear and actually make you less tired from carrying things so you need to drink a little bit less water in the first place. Weather conditions - hot or arid weather conditions will require you to drink more water. So you will need to carry a larger canteen or bring two bottles. Hike distance - longer hikes also require you to have more water. But be aware that you will have to carry the water with you, so you may want to drink extra water before you depart. Hike elevation change - just as hike distance, a larger elevation change may require you to drink more. How much you are already carrying - if you are already carrying a heavy backpack, take it into consideration. But don't forget that water is one of the most important items. Hike terrain - terrain can provide natural shade if the terrain is forests that has many trees. They will give you natural protection from the sun. 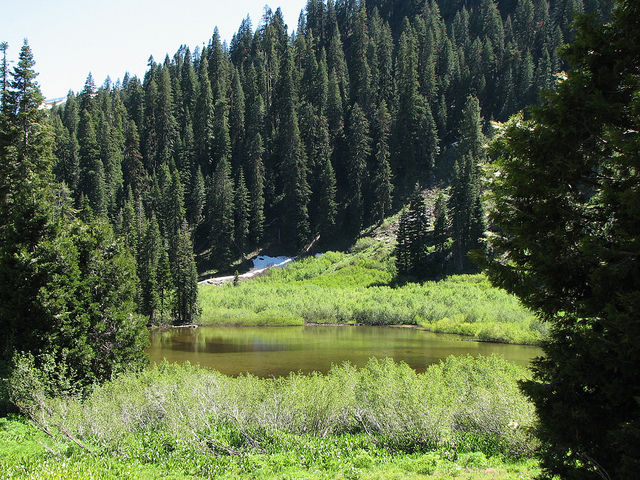 But if you hike in open terrain during hot weather, the sun may beat down on you as you walk, and you may need more water. Using one-time plastic water bottles is quite bad for the environment. These days, most metal water bottles you can buy come with lifetime warranties so considering that you will not lose your bottle, over a span of a lifetime, a metal water bottle you buy can help not waste hundreds or thousands of one-time plastic bottles. Even if you recycle the plastic bottles, recycling is still a process which takes earth's resources and uses heavy chemicals as well as requires the transportation of the recycled materials. By getting a metal hiking bottle, over the span of years during which you will be using the flask, you will prevent tons of plastic from possibly filling up landfills, oceans and wherever extra waste ends up. One amazing fact about modern metal water bottles is that if you ever want to recycle it after tens of years of possible use, you will be delighted to know that many bottles can be 100% recyclable, although obviously every bottle is different and you have to check each to see if it is really recyclable. The problem with metal water bottles is that they are heavy. Every bit of fancy food-grade stainless steel, and the high-tech insulation of the more expensive metal bottles that are also like a thermos, add extra weight that you have to carry along with you the whole way. Lighter bottles tend to be made out of plastic-like materials. They are often see-through so you can see exactly how much water you have left all the time, and are lighter. One very nice advantage of such bottles is that the plastic materials have a little bend to them. So if your bottle is filled with water (at its heaviest) and falls on a hard surface, it is more likely to survive the fall without major damage. The metal bottles without any give to them tend to acquire small dents after getting banged up. When you do buy a water bottle, pay attention to the width of the mouth of the bottle. If the with is a standard size with other water bottles, there may be very cheap accessories you can buy to make it more versatile, and fit your preferences. For example, the bottles with the thermos qualities usually come with hard-closed caps, but people often find it more convenient to have their bottles have a tube at the end so they can just lean the bottle over, and water comes out. 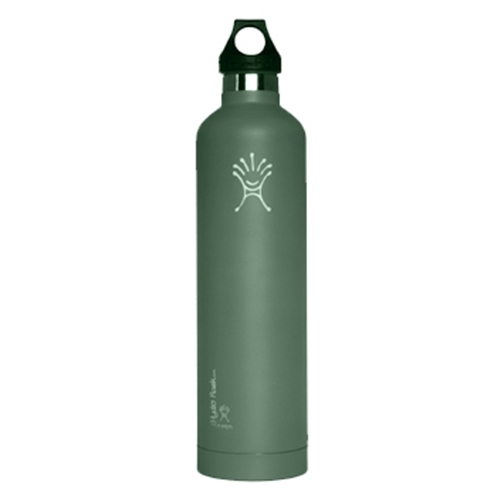 You can buy a second cap for your bottle just in case you want to switch up from having easy access to the water to going back to having the thermos-like qualities for your bottle, which would necessitate a hard-shutting of the lid. It is also important to have a standard mouth width in case you simply lose the cap. That way you do not have to go out and get a new bottle, but can just get a new cap which is usually just a few dollars. One of the favorite items for hikers is the liquid pouches that fit in fanny-pack-like, or backpack-like pouches. That way, the water weighs you does the least as you go, especially if your water containers are strapped around your belt and do not wobble as you go. Usually, a long straw extends from these containers that can reach your mouth. This is great for hiking, but unfortunately, this kind of a water-carrying technique will not transfer over to your daily life as simply buying a water container would, since you can carry a regular metal or plastic water bottle with you everywhere.